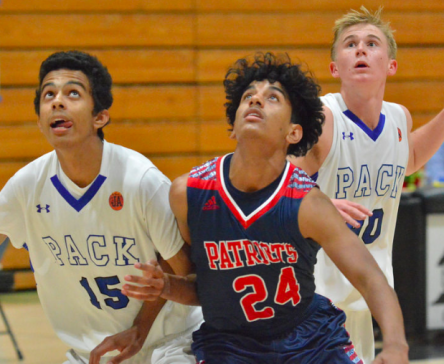 SANTEE – The Christian High Patriots defeated the host West Hills Wolf Pack, 75-51, at the Jeff Armstrong Memorial Horsman Automotive Tournament on Tuesday night. It was the opening night of the annual event, recognized as one of the longest-running tournaments in the county. The tournament was renamed in honor of the late Wolf Pack boys’ coach, who passed away on Oct. 2. 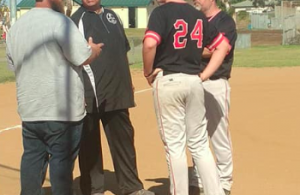 The Patriots, CIF State Division 4 regional finalists a season ago, got off to a slow start by allowing West Hills to stay in the game by beating the Patriots in transition early in the first. 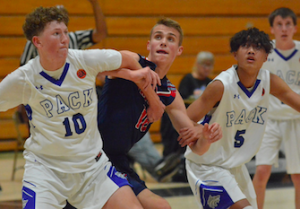 While the Patriots hung on to a slim 18-11 lead after one period, 2019 Northern Arizona University-commit Jackson Larsen opened the second with a monster two-hand flush that caught the Wolf Pack, who were late in breaking their huddle, off guard. That helped get the Patriot attack ignited, as the senior would finish with 22 points, six rebounds, and two steals. The Patriots closed the second period on top, 34-22. At the start of the third period, smooth-shooting freshman Vinnie Signorelli began raining shots from college range on his way to 12 points on 4-of-6 from beyond the arc. Newcomer Miles Madili-Williams, a transfer from Francis Parker, carefully dissected the Wolf Pack defense all game, logging 13 points, 4 assists, 4 steals, and no turnovers. He also played smothering defense. After a 30-point third period for the Patriots, head coach Davion Famber and the Patriot staff kicked it in cruise control in the fourth, playing seven guys, all of whom have never logged varsity minutes. West Hills sophomore Kyle Dobyns had a team-high 16 points. He also added six rebounds. Ashton Avestro added 14 points for the Wolf Pack. “Dobyns continues to impress and Avestro also took it right at the Patriots,” West Hills coach TIM BARRY said. “We hung in there against a really good Christian team for a half. 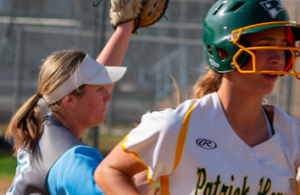 The Pats will play Friday at 4:30 p.m. versus Mt Carmel at West Hills in the tournament. The 1-2 Pack will take on crosstown rival Santana on Friday at 7:30 p.m. It will be for the first time the schools have played in three seasons. 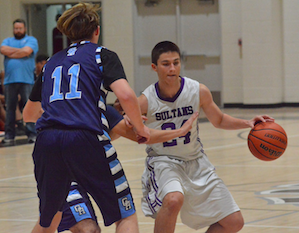 SANTANA 55, GRANITE HILLS 41 – The Santana Sultans looked impressive in their Armstrong Memorial Tournament season-opening win over the Eagles in another all-East matchup at West Hills High on Tuesday night. “It was definitely a solid win for us to start off the season,” Santana head coach K.B. Barcelona said. “I thought we played well. Defense needs to continue to improve and we had too many turnovers but the boys were able to play through it. A Santana player dribbles on Tuesday night against Granite Hills. Santana led by 10 at intermission. Granite Hills’ John Yakou had 16 points, six rebounds and five steals. “Santana deserves a lot of credit,” Granite Hills head coach DAN DUFFY said. “They are a good team and shoot well. We had way too many turnovers and didn’t shoot well. 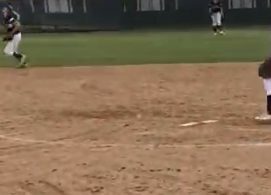 Granite Hills’ next game at the tournament will be against Southwest (El Centro) High on Friday at 4:30. MOUNT CARMEL 34, CORONADO 29 – Senior TORREY THOMAS had 11 points as the Sundevils won the first game at the Horsman Automotive Tournament. THE CAMBRIDGE SCHOOL 55, LIBERTY CHARTER 44 – Liberty Charter freshman TYLER SNELL hit a three-pointer in the first half to close an early lead by The Cambridge School to 20-16. Senior MANNY LOPEZ and junior JAMES ZUNIGA added field goals late in the first half for the Lions, who trailed 34-21 at halftime. Snell had a pair of three-pointers in the second half, including the first basket of the second half. Snell had eight points in the second half. Senior DAVID MILLER added six points in the second half for LCHS (1-2). Liberty Charter travels to Calvin Christian on Friday at 7.